Lace up, block heel and a major style steal!? 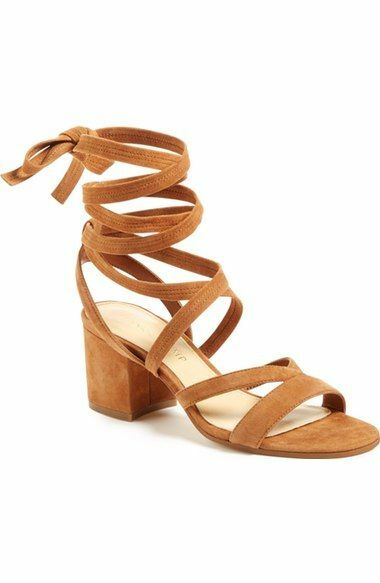 Ivanka Trump's "Ellyn" Sandal nails all of our must have categories for a summer sandal. With sand, lotion, walking in the city, heat , you name it sandals tend to get quite a beating. Ivanka's style steal shoe has the perfect "it" girl look and price. I am absolutely loving the "Ellyn" in chestnut but if you're more of a neutral girl and aren't as obsessed with tan shoes as we are then the black or light grey will cater to you!